The Greek or Hellenic Religion, although it never died and survived, underground during the Middle Ages and the Ottoman occupation, with complete its Sacred Oral Tradition, has remained outlawed! But now it is time, at last, to appear publicly and formally. We, its believers must have the freedom to exercise their religious rights like all others! The era of religious oppression must have an end! Especially after the enactment of the 18th article of the U.N. Declaration of the human rights by the Hellenic Parliament [law 2462/ (5-8-1997)]! So we have laid our claims to the full exercise of our religion and to have an officialy recognized place of worship (Eukterios Oikos) and also to erect a Temple in honnor of the Greek Gods! For this purpose the «Commitee for the recognition of the Greek or Hellenic Religion» was founded in 1998 in Greece. It is the most audacious religious movement in the “Pagan” community in our country, as it represents formally all the Pagans in front of the law. It was founded to repair the absurd situation of the unofficial state of the Ancient Greek Religion. On this home page we celebrate Traditional Polytheistic Religiosity honnoring the Hellenic Religion, the great religious heritage of Ancient Greece and Classical Civilization! It is the religion that gave birth to the great miracle of the Classical Golden Age, Greek Philosophy, Greek Art and Olympic Games! Today the Hellenic Religion is alive and well and illuminates with its Basic Principles the great worldover Paganist Revival! We are honored that you are visiting our web site. Being a religious organization, we are always striving to find new ways to get our message out to current and prospective members. This web site is presented by us, the Hellenic Religion of Dodecatheon Society of Sheffield University, in order to reach people we may never have been able to contact before for the puurpose of informing them about the eternal thruths about the Man and the Cosmos that brings to modern man the Most Sacred Hellenic Tradition. Please use this site to access the information you need about the Greek Heritage and Spirituality and as a resource, if you are already a Paganist, for broadening your faith in the concept of Polytheism. But, if you are a seeker in the Spiritual road confused with the conflicting ideas of the various spiritual paths, note that the Hellenic Religion constitutes a complete philosophical and theological system without obscurities or logical flaws; moreover it offers God-inspireed reasonable and convincing answers to the spiritual quests of modern man, as you can judge it by yourself considering the Basic Principles of the Hellenic Religion, as they are inherited to us by our Holy Tradition and the philosophical reflection of the great philosophers of Hellas. DODECATHEON (http://homepage.mac.com/dodecatheon/) The official site of the traditional polytheistic Greek (Hellenic) religion of the Dodecatheon, of the Societas Hellenica Antiquariorum, the Comitee for the Greek religion and the journal Hellinicon Pantheon. The Basic Principles of Greek religion. 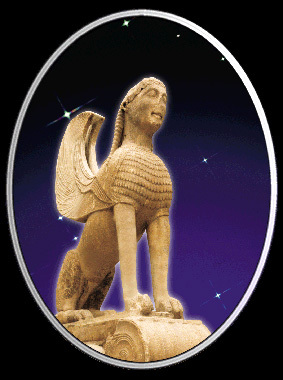 News, Religious & mythology topics, free philosophical theses & articles, free pictures, free desktops, free movies. «Hellenicon Pantheon»: the journal of the Hellenic Spirituality and the Hellenic Religion. The «Hellenicon Pantheon» is a luxury quarterly editon in Greek language packed with articles about the Greek religion of Dodecatheon, ancient Hellenic civilization, classical philosophy, Greek Mythology, Hellenic history, religion, religious freedom and popular culture. Also there are articles about the contemporary Greek society and culture. It contains also popularized studies about matters like parapsychology, new science or religious phenomena. Furthermore you can read articles about the current political or social issues. It concetrates itself in the cultivation of the authentic hellenic Ideas about Man, Nature, the Cosmos for the preparation of a better future. We recommend it to scholars or simple admirers of ancient Hellas reading Greek.